heres a wallpaper i created. 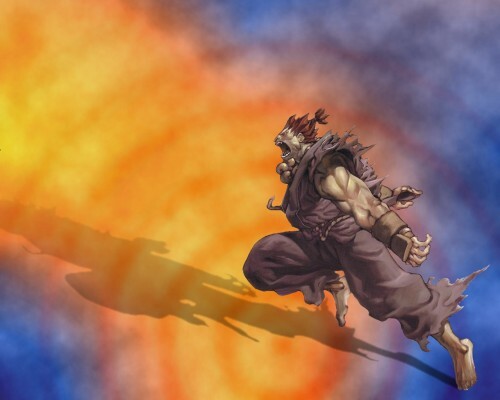 it features akuma from sfII. nice combination of colors. the only not so good comment i have is with the radiating rings... kinda off... probably just me though. i like this ... but dare i say akuma needed to be more detailed? ?